Raspberry Lemonade makes a sweet, tart, refreshing drink! 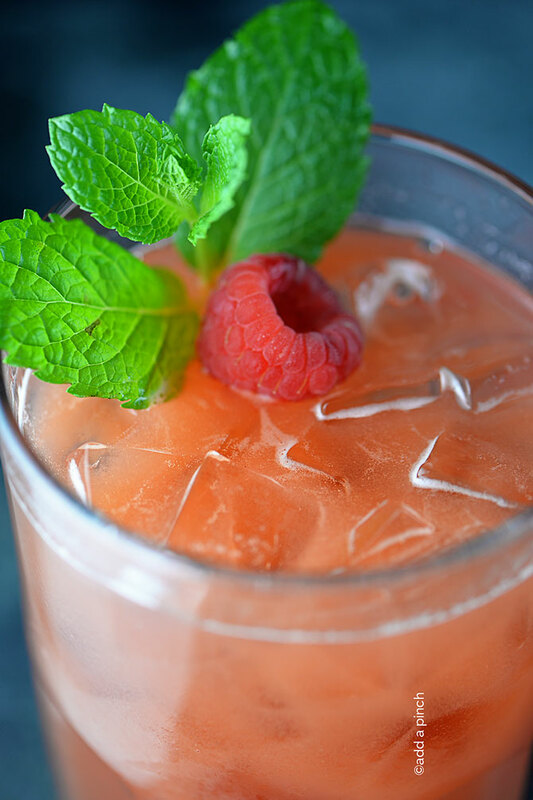 Made with fresh lemonade and raspberries, this will become a favorite! I absolutely love raspberries. 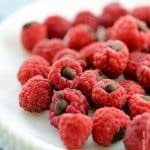 They are one of my favorite fruits for adding to a bowl of yogurt or oatmeal in the mornings or to pile onto a salad for lunch or even to snack on right by themselves. Their fresh, bright color draws me in and then I’m hooked every time I taste them! 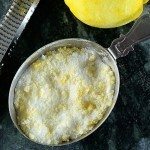 They make such a great addition to lemonade for this raspberry lemonade recipe, too! 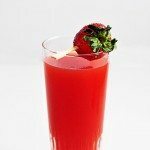 Perfect for serving all summer long, it is also great to serve for showers, parties, and even to add a bit of champagne to make a spritzer or vodka if you are looking for an adult version of this drink. 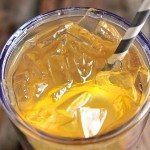 You’ll begin by making your lemonade like I do in our favorite lemonade recipe. 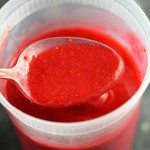 Then, you’ll puree about a cup of fresh raspberries and then strain them through a fine mesh strainer into the lemonade and stir. 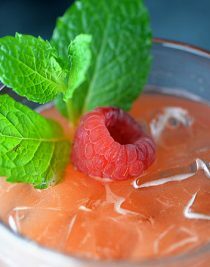 I love to garnish it with a sprig of fresh mint and a plop of a fresh raspberry on top of each glass. it just makes it look even more festive. 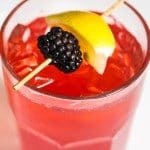 Here’s my Raspberry Lemonade Recipe. I can’t think of time that this wouldn’t be perfect! Make fresh lemonade according to the instructions. Puree fresh raspberries and strain through a fine mesh strainer into the lemonade. Stir until well combined. 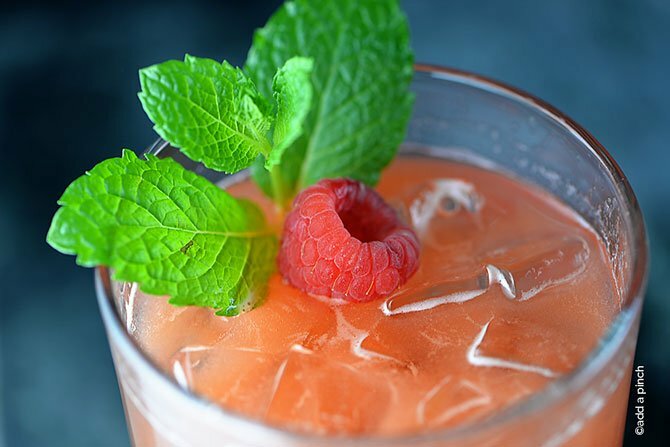 Serve over ice with a sprig of mint and a fresh raspberry, optional. I love everything raspberry this time of year. Looks so refreshing Robyn! Looks like a perfect refreshment for a hot summer day… Also love your suggestion of adding sparkling wine to it… yum! Can’t wait to try it! Gorgeous and refreshing, I need a glass of this to sip on today! I love raspberries, too. They’re the perfect combination of tart and sweet. This sounds lovely. I’m definitely trying that champagne option.